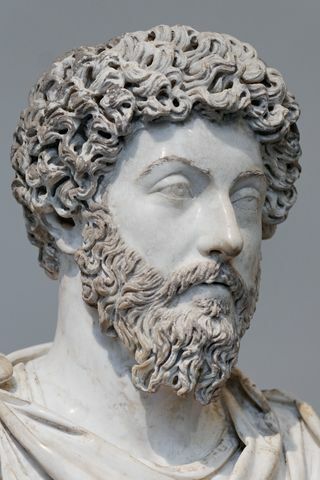 Marcus Aurelius Antoninus (AD 121-180), known as the last of the Five Good Emperors, was a rare ray of light in the den of depravity, the sink of iniquity that was the Roman Empire. I have a rather strong aversion to the Roman Empire. Fantastic engineers though they were, nothing will make me warm to a country whose chief architectural relic is a glorified abattoir. For this and other reasons, the latest entry in my Harvard series will be somewhat more disapproving than usual. Marcus Aurelius was not born an emperor. His father died when he was three and he was raised by his paternal grandfather amongst the posh villas on Caelian Hill. He was tutored at home. This time period was noted for the new Imperial practice of adoptive successions and he became the last of the adopted line stemming from Nerva in 96 AD. As of 138, the current ruler Hadrian was ailing and selected Aurelius Antoninus, the husband of Marcus’ aunt, for successor. Marcus was adopted into the fold and lived with Antoninus and Hadrian until the latter perished. He received a bundle of titles and promotions, was taught administration and oratory and succeeded Antoninus in 161. Remarkably, this sudden elevation did not result in a ruined character. As he later wrote: …where a man can live, there he can also live well. But he must live in a palace–well then, he can also live well in a palace. Aurelius’ reign was marked by the Marcomannic Wars (166-180), a series of invasions and rebellions fought along the Danube on the part of Rome’s Germanic and Sarmatian (Iranian) neighbours. Aurelius spent time on the campaigns and it was “among the Quadi at the Granua” that he began his Meditations. He never saw the conflict properly resolved in his lifetime – and of course these were merely the burning bushfires that would go on to one day subsume the Empire. As Caesars go, he was really the best you could hope for. 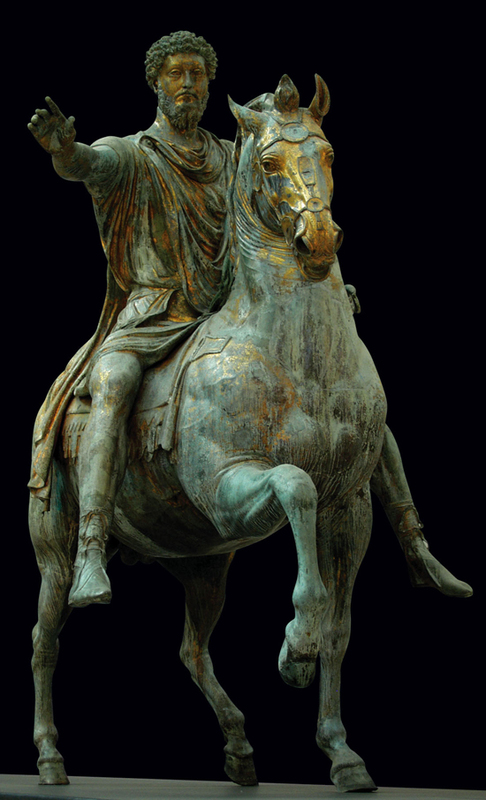 His Meditations are not a record of this life, however, nor were they written with an audience in mind – they are an account of good conduct, a way for Marcus Aurelius to focus, channel his inner Stoic and keep the “form” of Emperor from destroying the “substance” of himself as a humble man. The problem inherent with this noble undertaking was that the result is not remotely user-friendly and has no great originality. Epictetus was a Stoic instructor and his sayings, recorded by an earnest pupil, are as perfect an introduction to the philosophy as a patient reader could wish for. Marcus Aurelius was a student, not a teacher, and his Meditations are an exercise book: rigorous and thoughtful but also plodding and repetitive. There’s none of the personal touch that brought a level of intrigue to Plato’s Socrates and none of the well-exercised brevity that Arrian’s Epictetus put to such wonderful use. Take away his Imperial status and what is left? A philosophy student’s notebook. I have no doubt some of my problem with this book stems from the antiquated translation by George Long, M.A. and would recommend readers to aim for a more streamlined version. There are of course various excellent passages scattered throughout the book and I shall quote one in full from chapter two, which works as an accurate summary of the themes Aurelius gave his focus and also gives good indication of his style in the Long translation: 17. Of the human life the time is a point, and the substance is in a flux, and the perception dull, and the composition of the whole body subject to putrefaction, and the soul of a whirl, and fortune hard to divine, and fame a thing devoid of judgment. And, to say all in a word, everything which belongs to the body is a stream, and what belongs to the soul is a dream and vapour, and life is a warfare and a stranger’s sojourn, and after-fame is oblivion. What, then, is that which is able to conduct a man? 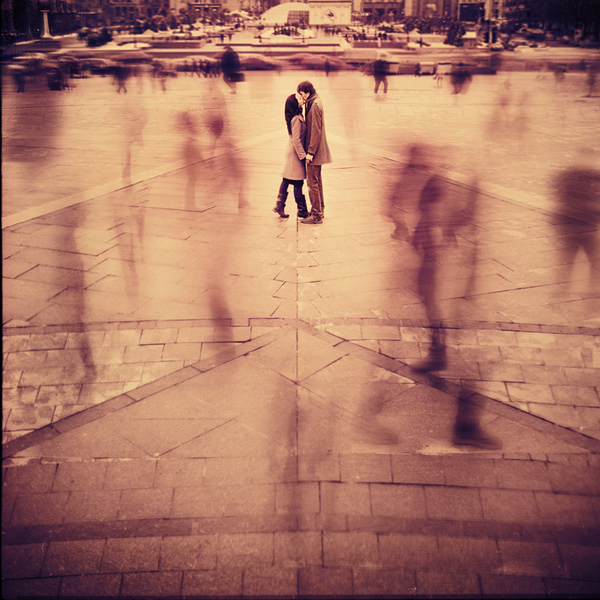 One thing, and only one–philosophy. 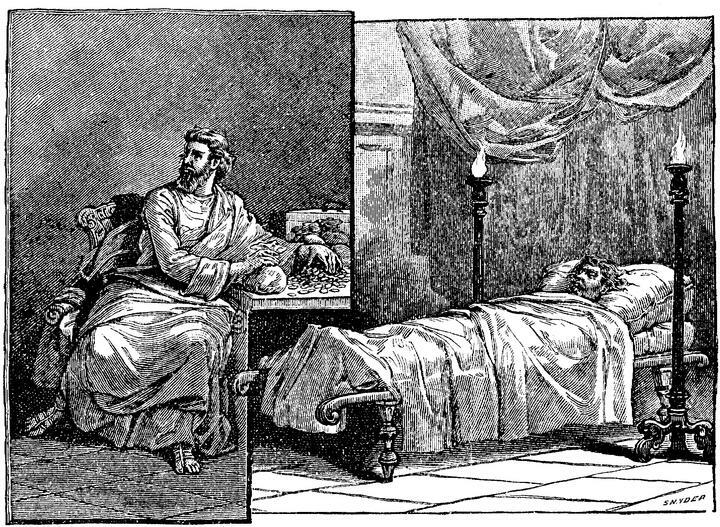 But this consists in keeping the daemon within a man free from violence and unharmed, superior to pains and pleasures, doing nothing without a purpose, nor yet falsely and with hypocrisy, not feeling the need of another man’s doing or not doing anything; and besides, accepting all that happens, and all that is allotted, as coming from thence, wherever it is, from whence he himself came; and, finally, waiting for death with a cheerful mind, as being nothing else than a dissolution of the elements of which every living being is compounded. But if there is no harm to the elements themselves in each continually changing into another, why should a man have any apprehension about the change and dissolution of all the elements? For it is according to nature, and nothing is evil which is according to nature. Sober reflections, stern moralizing, rinse and repeat for the next hundred pages. This is why I would not recommend the Meditations to anyone who isn’t in a scholarly capacity. I understand that Marcus couldn’t just write a quick essay on the subject and hang it on the wall above his bed. To preserve and practice Stoicism in his position he had to remain focused, rewriting his personal mandates and shaping them anew on his travels. Doubtless it provided a calming task while on campaign. So I can see how this would have been a compelling necessity and I respect him for carrying it out but nothing will compel me to call the leftover husk of his endeavor an interesting read. These pages truly were meditations and unless you are willing to read them as such, they will be a source of some frustration. There are dynamic texts to engage with and static texts to absorb. The Meditations is an example of the latter and unlike the similar Journal of John Woolman it lacks those light touches of the personal, the mystical and the anecdotal that I found so rewarding on a second read. The Meditations keeps up a continuous mantra that human life is not worth experiencing. Everything transient is scorned, all enjoyments derided as animalistic and emotions are censured as “womanish” and worthless. All that is left of value in his eyes are the rigours of asceticism, which I cannot agree with as the very transience of human experience is precisely what makes it so valuable to me. And probably to the majority of sensitive people. Not, however, to Marcus Aurelius who takes a hard line on the matter: To receive the impressions of forms by means of appearances belongs even to animals; to be pulled by the strings of desire belongs both to wild beasts and to men who have made themselves into women, and to a Phalaris and a Nero: and to have the intelligence that guides to the things which appear suitable belongs also to those who do not believe in the gods, and who betray their country, and do their impure deeds when they have shut the doors. In this Aurelius can be seen as trying to answer the question of what makes some men good if all aspects of their being are shared alike with animals, criminals, the weak and the foolish. The answer he found was uncomplaining trust in the gods and the nature of things – to be a man without any compulsion perfectly reconciled to his lot. This piety helped to establish him as part of the Western Canon and when you consider the examples of such Emperors as Caligula, Caracalla, and Nero he does look miraculous. His book is a testament to that but it also raises a question about Stoicism and how far it can reasonably be taken. Stoicism can be seen as an attempt to diminish pain in what was surely a deeply traumatic and brutish era to be born into with its “games,” crucifixions, rudimentary medicine and other difficulties. A measure of Stoic training would be a natural aid in such a time period but for Aurelius it was likely a state of living as much as being, and perhaps that had a hand in the disastrous rulership of his son Commodus. After all, if you grew up in an atmosphere of deliberate austerity and at eighteen found yourself released from it and declared sole Emperor, what is the likelihood you would be able to moderate yourself in that environment? Commodus (161-192), Aurelius’ son and successor is quite possibly an example of how such matchless dedication to the higher things can go awry (or maybe he was just a bad egg regardless). 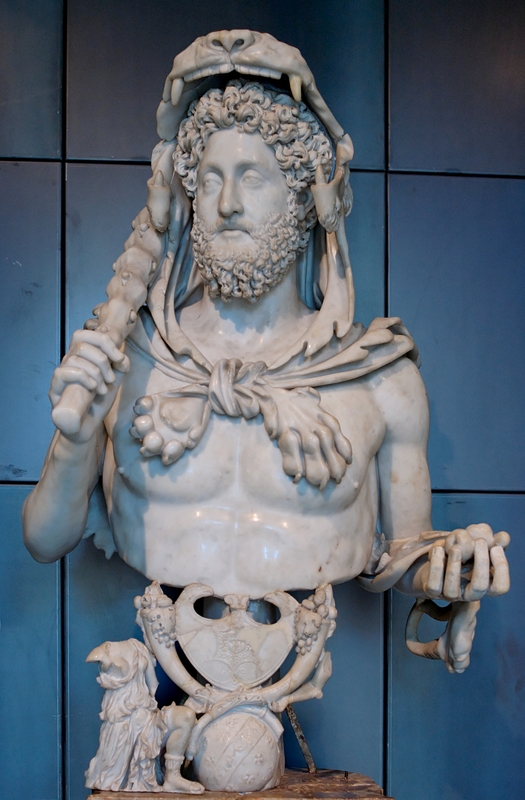 Commodus took the throne at eighteen and put a spectacular end to the legacy of the five rational emperors. He reigned for twelve years before finally getting whacked and although his career started quietly enough, before long conspiracies were in the air and he became increasingly unhinged. 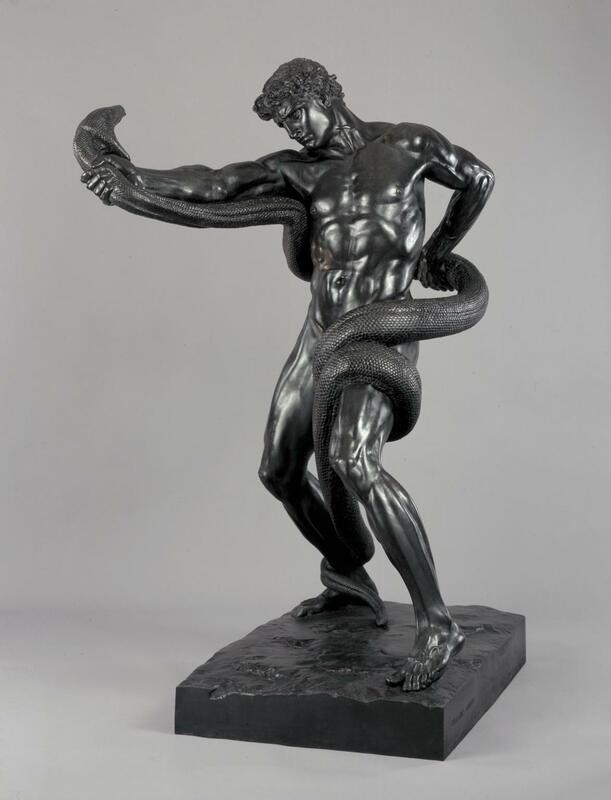 He sought to fashion himself as the new Romulus, stuck statues of himself as Hercules up all over the place and named everything that wasn’t nailed down after himself (including the months of the year, for which he had to first give himself twelve names). All of this would make him just a figure of fun but on a darker note he showed off his manliness in the arena, where he would slaughter exotic animals and the wounded and the maimed (I guess he figured nobody would miss them). He didn’t perform for free either – yes, as the ruler of Rome nobody could stop him from entering the arena but he charged them for each appearance anyway. In short, the man descended into complete megalomania. He was finally strangled by his wrestling trainer whose name (I am not making this up) was Narcissus. Oh, the irony. Who better to kill a megalomaniac? Historical humour aside, what a disastrous legacy for Marcus Aurelius. In leaving Rome to his son (not that he had much choice, as naming anyone else would likely have led to civil war), he undid the measured rule and result of the adoptive system, heading straight back to dynasties of the unfit and the assassinations and suicides that go along with it. Have a look at Wikipedia’s list of Roman Emperors and study the “cause of death” column – it’s extraordinarily illuminating. And this is where I pull the plug. I read the Meditations a few years back and a reread of the first four chapters has sparked well over a thousand words (as you see here) while confirming my earlier impression of the book being dull and unwieldy. I am now consumed with a nagging sense that there are other books waiting for my attention and that a complete reread of the Long translation is not required of me. I have filled my quota and while I staunchly defend the Western Canon under normal circumstances I have to admit that this one stumps me. Up next: Essays, Civil and Moral by Francis Bacon. Goodbye to the Greco-Roman, hello to the Elizabethan!